The adventure begins here on the Elysium Desert of Mars. Aaron Seven appears near the end of this tale, delivering the last survivors of Earth's nuclear war. But before Seven arrives, two colonies of humans stranded on Mars struggle to survive the deep cold of the Martian winters and the inevitable war between themselves. Available now in soft cover, hard cover and eBook. For as more detailed review or to order the book at a substantial savings directly from the publisher - click here. Or, to order from Amazon.com - click here. Abyss of Space is the parallel novel to the Abyss of Elysium - recounting the planetary nuclear war on earth and Aaron Seven's struggle to steal an antique missile in a desperate gamble to escape the planet's nuclear fires. In earth orbit, Seven hijacks the only interplanetary ship outbound to Mars and departs without enough supplies to make it all the way alive. Available now in soft cover and eBook. For as more detailed review or to order the book at a substantial savings directly from the publisher - click here. Or, to order from Amazon.com - click here. The sun begins a natural cycle no one has ever witnessed before called a Quantum Storm. It begins to irradiate the earth with lethal doses of radiation blasting the earth from its thermonuclear core. Every organism on earth - from single cell bacteria to humans will die. 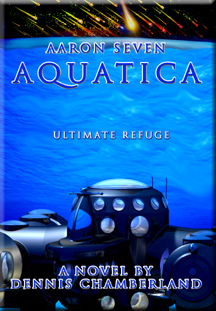 Aaron Seven and his team dives into the depths of the deep sea to escape the radiation but are met by rouge submarine commanders in an adventure you will never forget. Available now in soft cover and eBook. For as more detailed review or to order the book at a substantial savings directly from the publisher - click here. Or, to order from Amazon.com - click here. The human race was one second from extinction. Their only hope was to escape beneath the surface of the moon, which was to become the cradle of a new human civilization. And there was only one man on earth who could lead them all to safety... 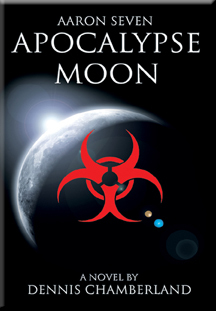 The weaponized biological plague was not just uncontained – it was uncontainable. Aaron Seven was enlisted by his mentor to rescue the remnants of humanity from the extinction level event raging on the earth. His daring plan: to send the survivors to the moon. And there, in a secret subterranean outpost on the very edge of the lunar far side, somehow survive until the contagion ran its course. What none of them counted on was that the scourge of their fellow man was far more lethal than a soulless microorganism... and much more terrifying. The tiny handful of survivors not only have to contend with the pandemic and survive, but also outwit a powerful, unseen nemesis whose sole purpose is to destroy them all. Planet X - far outside the orbit of Pluto, disturbed a cold cloud of interstellar dust of a rather odd composition that had encircled the sun in a highly elliptical orbit in near darkness and absolute zero for eons. And in so doing, the great unseen planet’s gravitational fingers condensed it into a dense swirl of dust and hurled it toward the inner solar system. It was thereupon projected that it would ultimately achieve a stable orbit between Venus and Mars. But when the earth began to orbit through it, the sand-like particles would never reach the earth’s surface. Each of them would be instantaneously consumed in a brilliant curtain of fire originating in the upper atmosphere, visible around the globe as a brilliant streaming, undulant ethereal light that would make the auroras seem insignificant. Unfortunately, in the process, the superheated particles would combine with rare atmospheric constituents and would create a toxic vapor that would inevitably render the human race extinct. 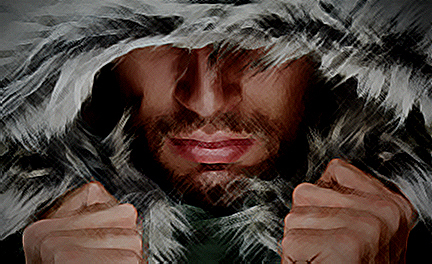 In this fourth novel in the Aaron Seven adventures, humanity is faced with what seemed to be an altogether impossible challenge. Yet there was one unlikely savant that had the answer that no one else dared to imagine. With his genius and rare intellectual grasp of unfolding serial disasters, the reader joins with a few surviving humans in an astonishingly beautiful undersea colony. Here you, Seven and his band of survivors will struggle to survive not just the capricious hand of fate dealt by an indifferent universe, but also the terrifying insanity of madmen who seek to become gods and to control or destroy what is left at any cost. Dennis Chamberland is an engineer, scientist and explorer who is also a prolific writer of science fact and fictional adventures. Chamberland was elected a fellow of the New York Explorer's Club in 1991 and has commanded more than a dozen undersea missions as a NASA aquanaut. He is the chief architect and design engineer for the Scott Carpenter Space Analog Station from which he conducted undersea missions. He is also the Expeditions Leader for the Atlantica Expeditions whose aim it is to establish the first permanent human colony in the Atlantic Ocean. As a part of the Atlantica Expeditions, Dennis is also the design engineer of the New Worlds Explorer undersea habitat and the Leviathan Habitats - two undersea research habitats which are the first ever designed to study human permanence in the undersea regions of the earth. Chamberland is also the design engineer for the Challenger Station - the largest undersea habitat ever and the only habitat designed for permanent occupation by a colony of humans.